If you connect a microphone directly to computer speakers, bypassing the computer, you get a small megaphone-powered network. For matching microphoneand speakersand will require a cascade transistor. Make sure that the columns you wish to use in conjunction with a microphoneω are active. A symptom of this is having a separate power supply from the network through a built - in or remote unit. Electret microphone use. One of his conclusions is connected to the case - that this conclusion is negative. Connect it to the common wire of the amplifier. Positive output, connect through a resistor of several kilo Ohm to the power bus. Take a low-power low-frequency bipolar transistor structure p-n-p having a current transfer ratio of not less than 50 (this is dimensionless value). Its emitter connect the General wire of the amplifier, and the collector connected to the power bus through the second resistor around kilooma. Database connect through a capacitor of about 0.5 UF to a connection point of the microphoneand with the first resistor. A connection point of the second resistor to the collector of the transistor connected to connected together to the inputs of the left and right channel speakers. Connect the common contact of the speakers with the common wire of the amplifier. Take your unwanted but serviceable charger for cell phone. Using a voltmeter, determine the polarity of the voltage at its output. Connect the output with the correct polarity, electrolytic capacitor 1,000 µf, designed for a voltage of less than 16 V. Negative wire connect to the common wire of the amplifier, and the positive to the power bus. Collect a chain of the variable resistor 1 Mω DC 2.7 kω. Connect it between the base and the collector of the transistor. A variable resistor is put in the position corresponding to the maximum resistance. Volume control speaker install in the middle position. Turn the power switch on the microphonetion of the amplifier and speakers. Saying something in the microphone, slowly decrease the resistance of the variable resistor. First, the amplifier will start to amplify, then the distortion will be reduced. Once further rotation to reduce distortion to bring will not, slightly increase the resistance. Unplug the microphoneth amplifier and speakers. Wipaire adjusting the chain, measure its resistance and then replace it with a fixed resistor of close value. Then again apply power to both units. To avoid any acoustic feedback, keep the microphone away from the speakers and do not make the volume too loud. In a conventional PC typically provides connectors for audio speakers, as well as line and microphone inputs. Sometimes it is necessary to connect to the computer two microphones at the same time (for example, when singing a karaoke joint, or recording vocals or instruments on different audio tracks). There are several different ways to connect two microphones to the computer. Computer, microphones, audio cables, adapters. The best solution is to buy professional entry-level audio interface. Such devices are inexpensive and available in different versions. There are options to connect to USB, Firewire, PCI, and PCI-E ports. The choice depends on your goals and on the configuration of your computer. The best option is to buy an external interface with built-in MIC preamps. Typically, these devices come with a set of drivers, allowing you to simultaneously record and reproduce a signal from multiple inputs and to process various audio effects. If bought this audio interface, you will only need microphones and cords to them with the XLR (three-pin). You can use external MIC preamps that connect to a common audio Board of the computer via line-in stereo input. The signal of one of the microphones when it comes on the left channel and the other on the right. For this you will need an adapter with a mini Jack (TRS 3.5 mm) - two RCA jacks (known as "Tulip"). All other options have been calculated on a fairly low budget, the quality will also be low, but emergency suit and they are. Often two microphone connectors had a Chinese DVD player with karaoke function. If one of them you have, you can connect its line out with a stereo cable to the line input of your computer by connecting via the adapter as in the previous embodiment, and the microphones attach to the respective connectors on the player using cords XLR-TRS (Jack 6.35 mm). The quality of amplification from budget Chinese art is not very high, and the microphones from this country are highly susceptible to interference and feedback (high-frequency whistle from falling signal to the speakers into the microphone), but when working with headphones and a suitable option. One could solder a small circuit with common shielding (negative) wire and separate the wires plus. All you need is a stereo cable, stereo jacks-Jack, two monarshey and, of course, a soldering iron and duct tape. But be aware that the signal level will be with this method of connection is extremely low and the noise level is high. When soldering cables, keep in mind that negative cable serves as a screen against interference. Use only shielded cables for satisfactory sound quality. 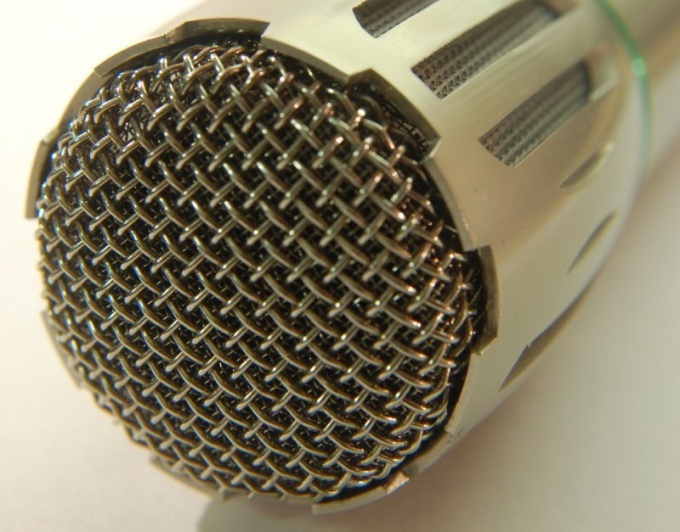 To connect to a computer it is better to use dynamic microphones. 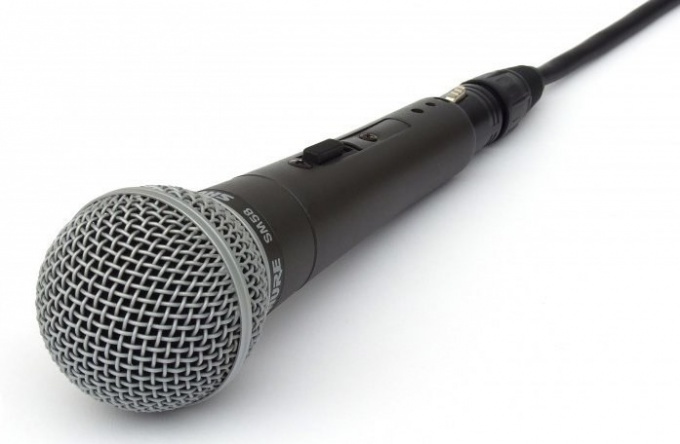 Condenser microphones need phantom power 48 V, in addition, they are more sensitive to background noise and interference.